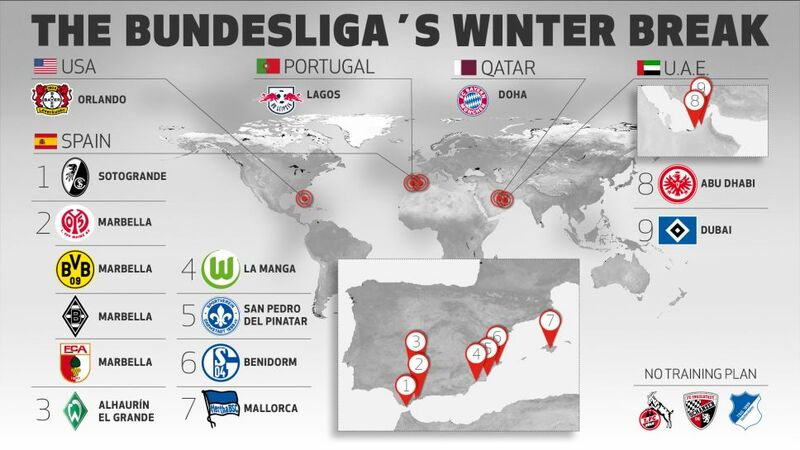 The Bundesliga's great and good are spending part of the winter break preparing for the Rückrunde in sunnier climes. Take a good look at the handy infographic above to find out where your favourite club is warming up for the second half of the 2016/17 Bundesliga campaign. Check out the all-new Official Bundesliga Facebook page! The winter transfer window is now open, meaning new additions to the playing staff of the league's clubs. You can keep up to date on every transfer in and out of the Bundesliga right here.